The Philadelphia Eagles added some insurance at safety today when they signed Corey Graham for the second straight season. Safety was one of the lone positions on the roster where the Eagles lacked adequate depth. 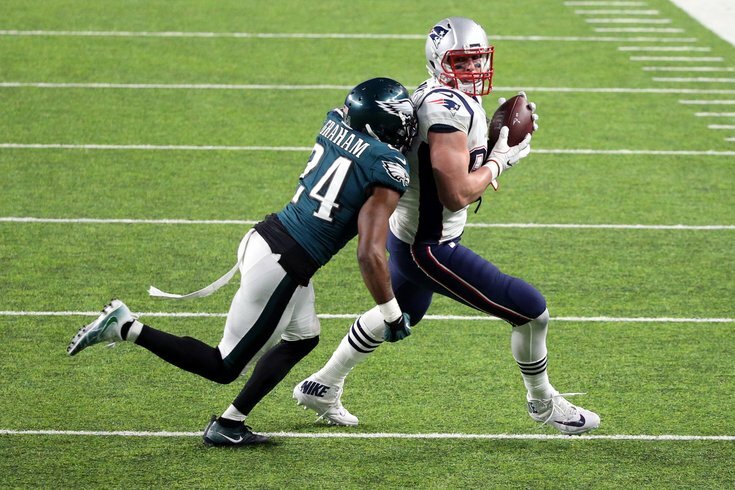 In fact, no reserve safety on the current roster has ever played a snap in the NFL other than Chris Maragos, who is really only a special teams ace at this stage of his career, and still recovering from a serious knee injury suffered last season. On a championship-level team, bringing back a veteran safety like Graham makes all the sense in the world. Earlier this offseason, Jim Schwartz spoke about Graham's ability to be a versatile player in his defense. "The three key guys were Malcolm Jenkins, Nigel Bradham, and then Corey Graham," said Schwartz. "I think all of them were able to play a lot of different positions for us and get us over the hump when it came to injuries. You're going to have injuries. You've got to be able to deal with them. We were fortunate enough to have multi-dimensional players that were able to keep our level of play high even though we had those injuries." In 2017, Graham had a legitimate role with the team. He was on the field for 370 snaps within the regular defense, and he was sixth on the team with 181 snaps on special teams. He had 32 tackles, 2 INTs, 4 pass breakups, and he made a game-sealing play Week 15 against a Giants team looking to put a dent in the Eagles' season. My condolences to the Eric Reid and Kenny Vaccaro fans among you.